UPVC Bifold doors offer a cost effective way to create a dramatic, seamless transition from inside a property to the outside. Our 5 pane bi-fold doors offer maximum sunlight and a sense of space that will be sure to create a dramatic addition to any home. 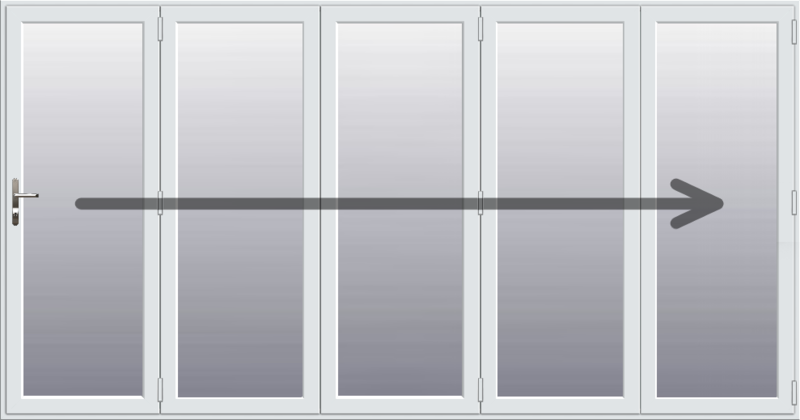 With our high performance, double glazed Low-E, toughened glass units that come with a 20mm air gap, you can be assured of a high performance in terms of quality and energy efficiency. Proving a seamless transition from the outside, in, our UPVC Bifold Doors are available in 17 colours, feature toughened glass units, and can be customised to meet your bespoke requirements.